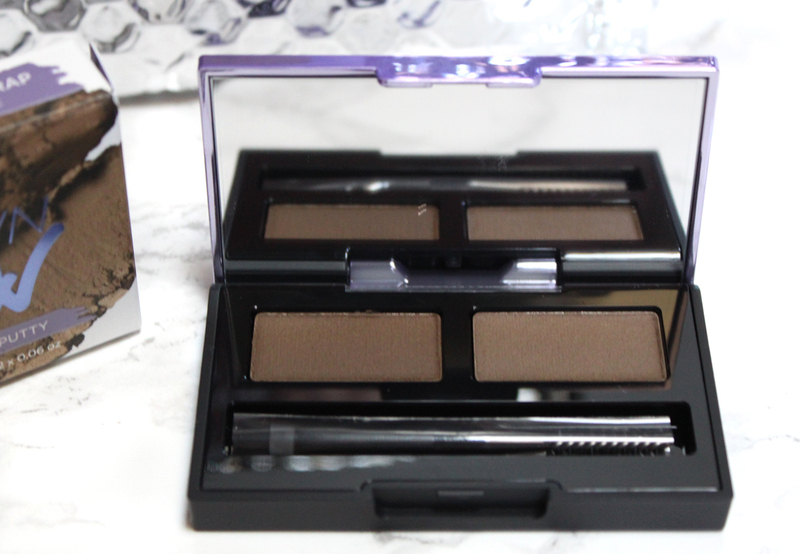 Starting off the new year with a fresh new brow release from Urban Decay! 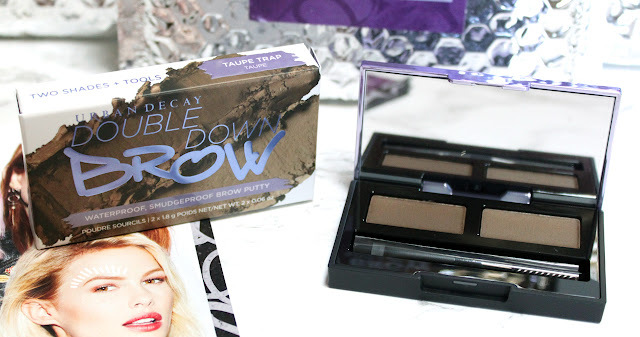 Isn't it crazy that we haven't seen full on brows from Urban Decay until now? With the whole awful Instagram Eyebrow trend of years past I would have expected it earlier. Knowing UD they don't put out something until they have it nailed. Urban Decay is giving us Street Style Brow Collection, all of the tools to achieve your ideal eyebrows (not anyone else’s). The lineup starts off with Brow Beater, a foolproof eyebrow pencil, and the new Brow Blade, which has an ink stain eyebrow pen at one end and a waterproof eyebrow pencil at the other. A double-ended ink stain and waterproof pencil that gives you microblade definition and precision without the commitment. Brow Blade ($26) gives you defined, flawless arches that are the definition of brow goals. This double-ended tool is revolutionary: The ink stain formula’s brush tip creates incredibly precise, hair-like strokes, while the creamy, waterproof pencil fills in sparse areas. 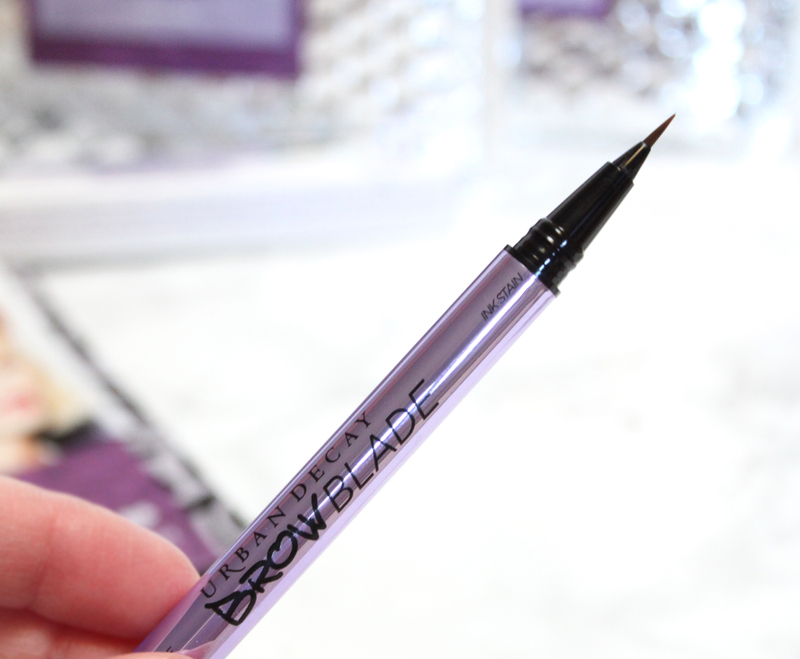 It’s the ultimate temporary solution for pro-level faux brows. The ink stain was also top notch. I have never had my brows microbladed but loved how put together my brows looked even after I had removed my makeup. The product seemed to last for a good 24 hours even with makeup removal. The ink stain would be a great tool for those who have light or very thin brows and want to keep them up at home. I did miss having a spoolie on my brow pencil just a teensy tiny bit, but having both an ink stain and eyebrow pencil in one is wonderful and a really fantastic value. Add volume and color with Brow Endowed—one side fluffs and volumizes, and the other tints with color for more definition. It’s easy to add depth and dimension to your new brows with Double Down Brow, our buildable, smudge-proof brow putty. A double-ended tool that volumizes and sets brows in two easy steps: A primer fluffs and holds, while a tinted cream fills and shapes. Size matters—give your arches a hit of high volume with Brow Endowed. Our long-lasting formula resists sweat and smudging for up to 24 hours, so you can get from the conference call to last call without worries. 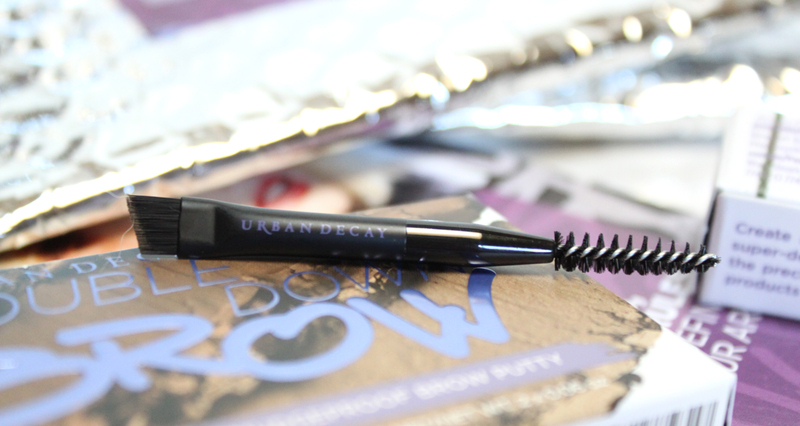 Brow Endowed ($28) is full of brow potential. I don't think I have ever primed my brows, ya'll getting serious! Both ends have a soft, easy to apply gel-cream texture. I am not sure I will use the primer all that much just because I don't need my brows to last days on end. However, the tinted cream is lovely. It lightly tints and gives your brows definition and hold. No crunchy, hard, unnatural brows. Both brushes are so super tiny with micro bristles. Painting on even the thinnest of brows with out making a mess is easy peasy. 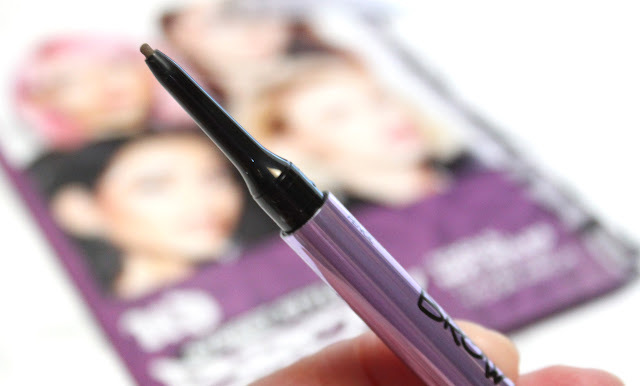 Most brow tints use a clunky mascara size brush but Brow Endowed is super thin. 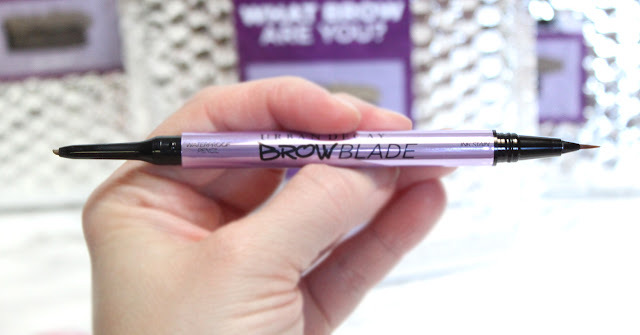 Brow Endowed is also available in 7 shades that coordinate with Brow Blade. Once again Taupe Trap was my match, slightly lighter than the brow pencil it gave my one shade darker brows highlights and a fuller appearance overall. For me, I use this as a brow gel/set and it works perfect. Double Down Brow ($29) is a buildable, waterproof putty duo for multi-dimensional brows that won’t budge.The high-tech putty-to-powder formula, for smudge-proof brows that last up to 16 hours (even through your gym sesh!). Add depth and dimension to your arches—the intensity level is up to you. Shape brows with the putty, then seal in long-lasting, customized color with the powder. The mini double-ended brush is your new BFF–an angled brush on one end and a mini spoolie for blending on the other. Double Down Brow has a soft powder texture that sets to a fine powdery finish. The little angle brush spoolie is so cute! Not the easiest to apply with though. I think I would have preferred something a little longer to hold. It did come in handy for Brow Blade because a spoolie isn't included with that one and for travel. I am a little too impatient to apply my brows manually now, but like that they covered all the bases. 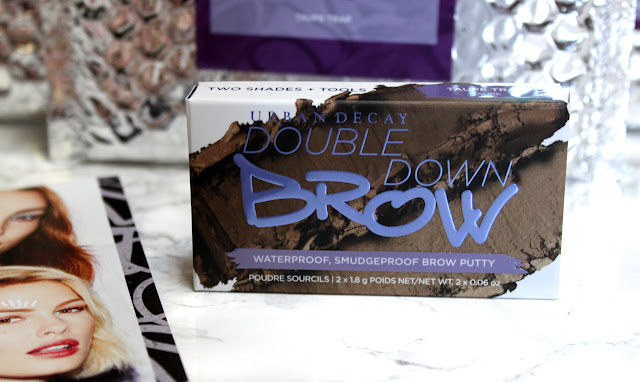 The texture is described as putty, but to me this is just a regular brow powder. Double Down Brow would be best for people who already have full, defined brows and are just looking to tame and enhance them. I did notice while swatching I had some powder fall out, so watch for that. I have swatched the Taupe Trap shade of Street Style as it is the most universally flattering. I plan to do a giveaway soon with the rest of the shades so they will not go to waste! Look out for that! Brow Finish ($21) is our holy grail eyebrow gel—swipe it on to set your look and lock those hairs in place. It’s like All Nighter Setting Spray for your brows, and it lasts up to 16 hours. A lightweight, waterproof brow gel that holds your look in place. It’s like brow magic—set it and forget it. Think of it as All Nighter Setting Spray for your arches. Choose from two shades: Ozone goes on clear for everyday brows, while Midnight Cowboy adds shimmer for more drama. Another great brow gel option for those who want to keep unruly brows at bay and set for the day. Also, Midnight Cowboy for the brows? Natural rose-goldy glitter brows? Heck yes! I love that they included this fun little addition in to a brow gel. The effect is subtle but oh so pretty when it catches the light. The fluffy little brush also deserves some love because it gives total application control. 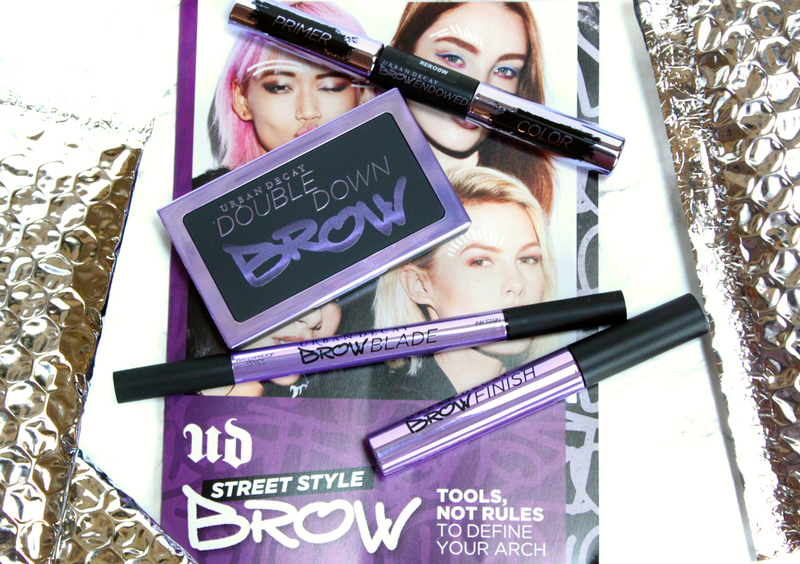 Street Style Brow is as sharp as the arches it gives you. There is a brow product, tool, application, and color in here for every one's brows. 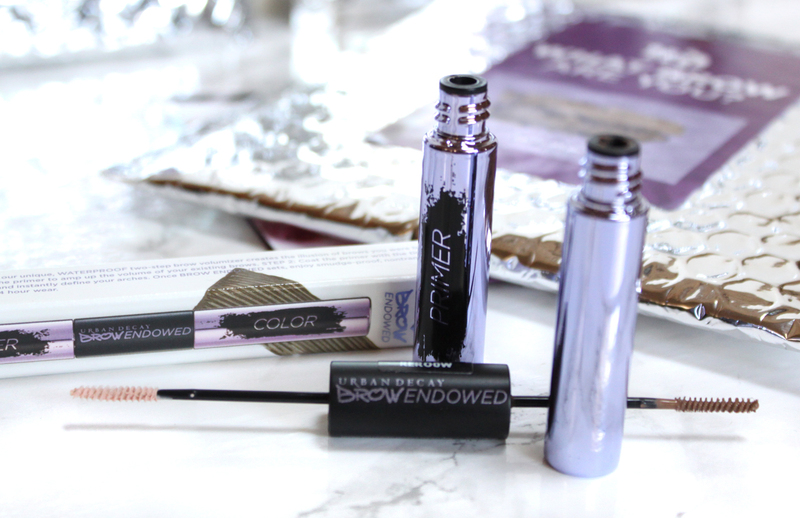 Nobody has been left out here and each of the products rival or are better than the well-known for eyebrow's brands. It doesn't cater just to people who know how to do brows, it makes beautiful brows easy and accessible for the majority. There is also a set of stencils available to guide you along to perfect brows too. Another bonus is that most of these products are 2-in-1 giving you a ton of bang for your buck. My favorites - Brow Blade and Brow Endowed. 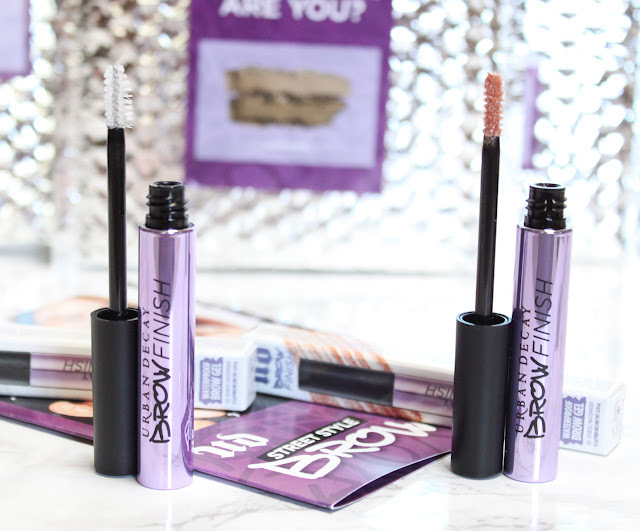 Those two alone (or rather 4) will be the end of your brow woes. 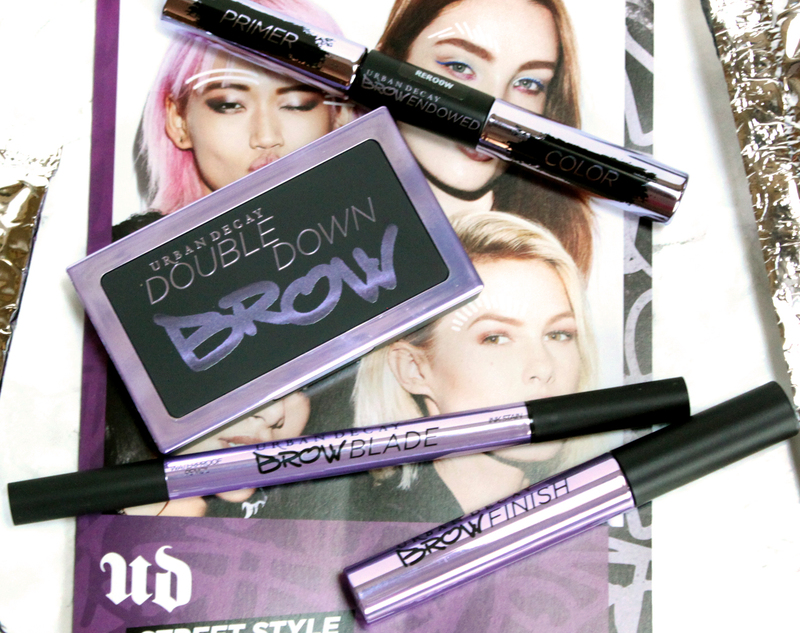 Urban Decay Street Style Brows is available on QVC right now! I am loving seeing Urban Decay on there! The live shows are fantastic!